This is for the spontaneous traveller, the holidaymaker that refuses to go home, the adventurer who wants to keep on adventuring… Sure, you can use the Airbnb app to pre-book your holiday accommodation, but using it en-route is the best way to feel its excitement to the fullest. What is the Airbnb app? It is an accommodation booking app with over 600,000 listings across 191 countries. The accommodation includes, yurts, tree houses, homes, rooms, long term lets… all hosted by local people. So you get to live like a local wherever you are visiting. What does the Airbnb app do? 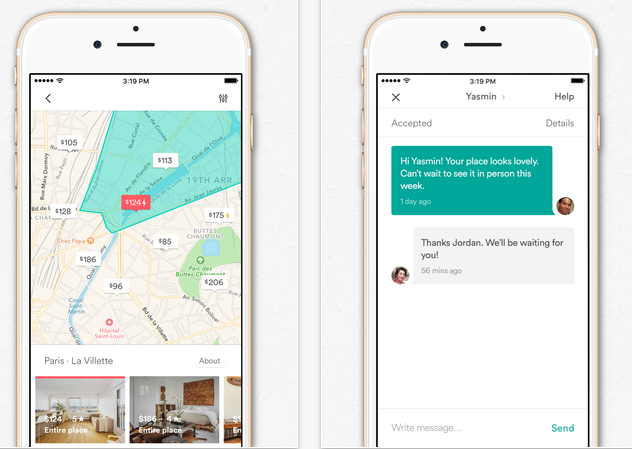 Who is the Airbnb app for? Anyone who needs somewhere to stay for 1 night up to many many nights! Families, groups, you name it. According to a few surveys, once someone has tried Airbnb for accommodation, they don’t go back to booking hotels. What do the Airbnb reviews say? It seems that the app works better for iphone users than for android users, but Google Play is still giving the Airbnb app a very respectable 4.3 stars out of 5. Get Airbnb for free on iTunes, or Google Play. If you are looking to extend your adventure, you won’t just need to find somewhere to stay, you’ll need to make sure you have the right insurance. Here at WorldwideInsure.com we provide cover to suit your plans, over the phone, without you needing to be in your usual country of residence. So, if you are still travelling and want to keep on moving you can buy cover online or over the phone by calling 01892 833338. This entry was posted in travel apps on July 29, 2016 by worldwideinsure.